RecipeSavants.com Here is one of my favorite snacks prepared in a healthy way! 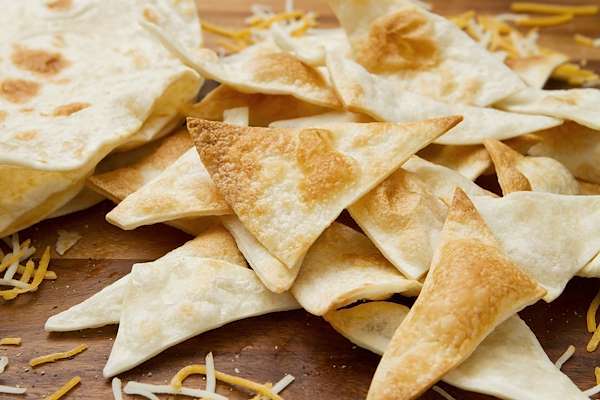 This quick & easy recipe features store-bought tortilla shells cut into wedges and baked to a golden crisp—no deep-fryer needed. Season them with salt, cumin & chili powder and enjoy with your favorite Mexican-inspired dips. Smart Recipes, Mexican Recipes, Grains Recipes, Recipes Grains Mexican Baked Tortilla Chips PT20M Serves 6 Ingredients: 6 Large Corn Tortillas 1 Tablespoon Vegetable Oil 3 Tablespoons Fresh Lime Juice 1 Teaspoon Ground Cumin 1 Teaspoon Chili Powder 1 Teaspoon Sea Salt Preheat oven to 350 degrees. Line a sheet pan with silpat or parchment paper. Cut each tortilla into 8 wedges and arrange onto a single layer on prepared sheet pan. In a mister, add oil and lime juice. Mix well and spray each tortilla wedge until slightly moist. In a small bowl, combine the cumin, chili powder and salt; sprinkle on the chips. Bake for about 8 minutes. Rotate the pan and bake for another 8 minutes or until the chips are crisp. Serve warm. If you enjoyed this easy chip recipe, you'll love these fresh ideas! 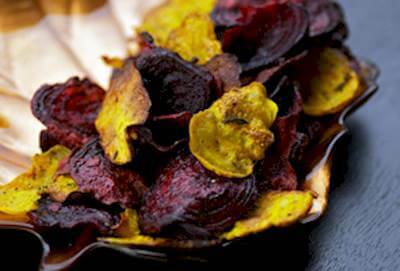 Make healthy and perfectly crunchy beet chips at home with this easy recipe. 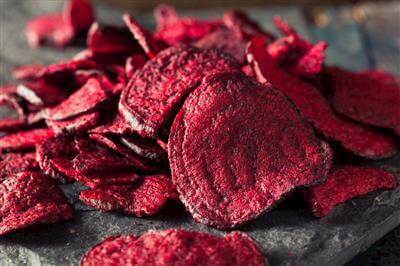 To make the beet chips extra crunchy slice the beets thinly using a mandolin. 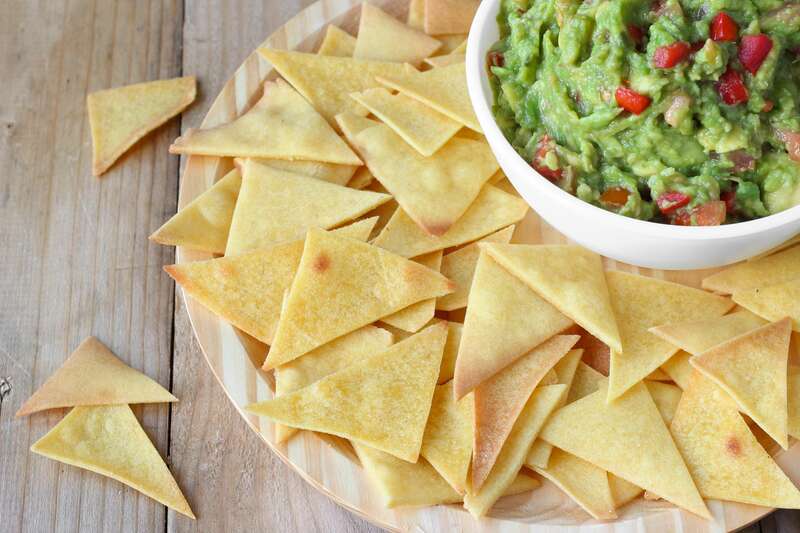 Save money as well as avoid unwanted additives by making your own homemade tortilla chips. Buy corn tortillas, cut them into triangles and bake or fry them, add salt or spices of your choosing. Make effortlessly crunchy kale chips at home with this easy and healthy snack recipe. These crunchy chips will change you if you’re not a fan of kale. Not a fan of beets? These crispy, seasoned baked chips will convert you! Try not to overload the pan for crispier results.